Bless your space with this therapeutic and long burning soy candle with essential oils of lavendar, rose geranium, bergamot and ylang ylang. Soy gives off a broad scent throw to keep your room smelling gorgeous for longer. Soy wax is said to be one of the kindest wax to melt and inhale. Presented in a reusable agar jar. Approx burn time 25hrs. 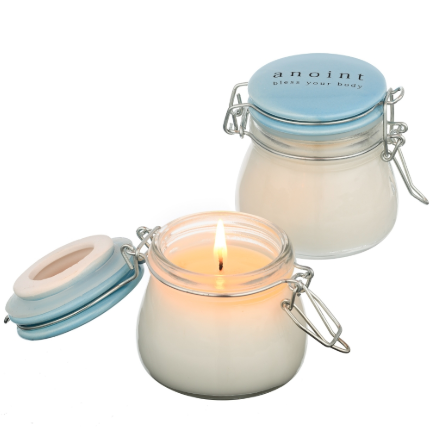 Made in KeriKeri from the gorgeous Anoint range.